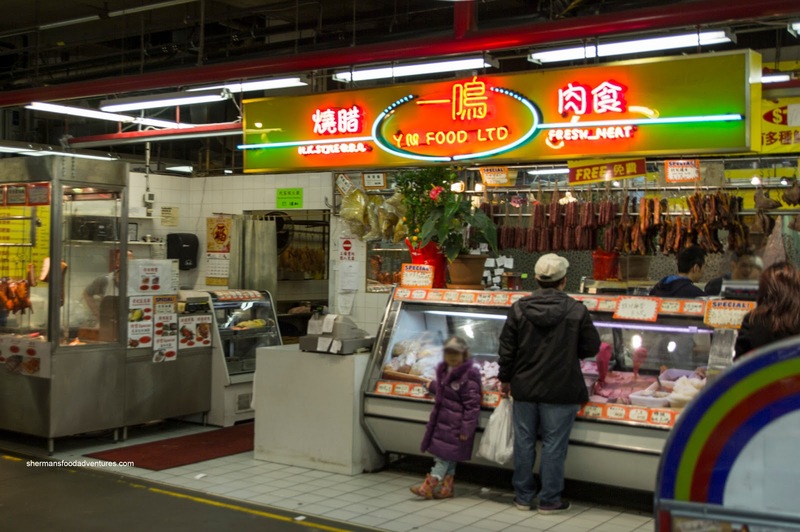 Whenever I need to shop for Chinese groceries, I tend to go with T&T despite the relatively higher prices compared to markets in Chinatown, Crystal Mall and Richmond. Blame it on convenience factor and in the end, predictability. However, since we were already in Richmond, I decided to brave the Public Market for once. Thinking back, I don't think we've ever really shopped at the Market. We've only been here for eats and that was a long time ago. 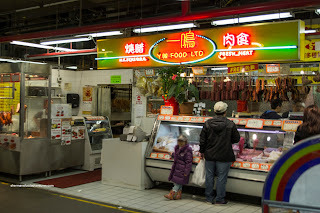 While perusing the meats and other items for hot pot, I came across YM Food Ltd which featured Chinese BBQ. There and then, I decided to try them out since I really didn't think I'd be back anytime soon. Reason? The parking lot. Heck, when has there ever been a good experience in an Asian mall parking lot??? 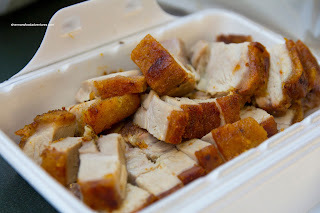 Anyways, I decided to go for the big 3 starting with the Roast Pork. It was fairly lean, hence it wasn't exactly fatty and moist. However, the skin had a decent colour and was crunchy without being hard. 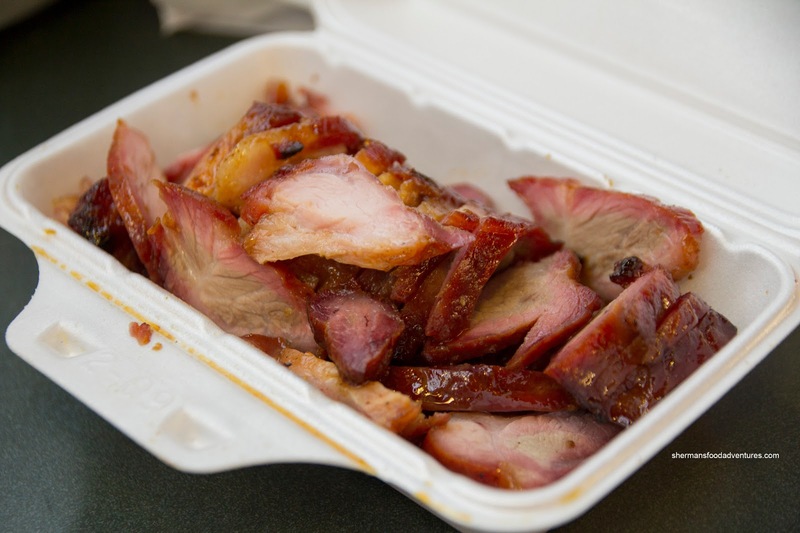 Next up was the BBQ Pork which featured a nice bark where it was "stiff" in texture while exhibiting sweetness. The meat itself was a little dry, but the overall texture was not chewy. 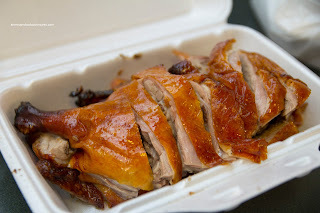 With an appealing roasted colour, the BBQ Duck was, in my mind, prepared beautifully. The fat was nicely rendered while the skin was not soggy. The meat, including the breast, was super moist and flavourful without being salty. Not bad. Not bad at all. I wouldn't put it in the same class as HK BBQ Master, but really, there are not a lot that qualify.